The Indian Statistical Institute, Kolkata, has completed the certification for BARC India's original design of 22,000 homes and the expanded 33,000 panel. 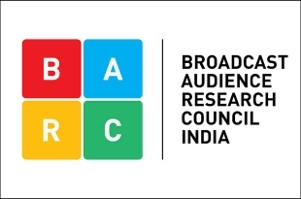 Broadcast Audience Research Council (BARC), TV viewership measurement provider in India, has been certified by the Indian Statistical Institute, Kolkata for its sampling methodology and panel design. The certification is for the original design of 22,000 homes and the expanded 33,000 panel. BARC India has seeded its BAR-O-Meters in a scientifically selected set of panel homes to collect TV viewership data. Panel home designing is critical to ensure that viewership data is representative of the TV universe and accurately reflects what India is watching. 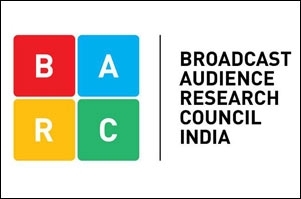 The representativeness of BARC India's panel - the cornerstone of its TV viewership measurement system - was earlier certified by CESP, a global multi-media body that audits media research, as well as Ernst & Young (EY). This is also borne by what's visible in the data. Even the smallest change in content, distribution, electricity or weather conditions, is reflected in the ratings of a mass genre. Prof. Ashis SenGupta, ISI, Kolkata, says in a press release, "The sampling methodology suggested by BARC India for Universe estimation, is a reasonable one. This method is also a feasible one for implementation in practice. 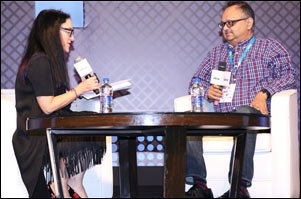 Overall, BARC India panel designs, adopted for panel expansion and TV Universe estimates, ensures representativeness of ground realities, given the constraints." Partho Dasgupta, CEO, BARC India, says in a press release, "ISI Kolkata's endorsement of our panel design and sampling methodology is yet another validation of our ability to measure what India watches. It is indeed a challenging task to accurately map TV viewing habits of 780 million individuals in a highly diverse and dynamic market like ours. I am proud of Team BARC India which has lived up to the industry's expectation to deliver accurate, credible and robust viewership data, day-on-day, week after week. It is also a testament to the systems and technology backbone that we have set up, which is of global standards." This study by ISI Kolkata, that was spread over 6 months, certifies the panel home design used by BARC India for seeding BAR-O-Meters at both 22,000 as well as 33,000 panel home levels. It also identifies any modifications required for panel expansion to 44,000 homes. According to the ISI Kolkata report, the universe estimate used and the spatial coverage adopted by BARC India, is reasonable and representative.